The lawsuit alleges that the state had not given the charter schools ample time to respond to an "intent to close" letter issued on June 3. The notice permitted five days for the schools to provide a corrective plan. The lawsuit also says that the Imagine schools "are providing better educational opportunities than schools [the Ohio Department of Education and Office of School Sponsorship] are not seeking to close." When asked what lower performing charter schools the lawsuit might be referring to, Ohio Department of Education spokesman John Charlton said: "I don't know." 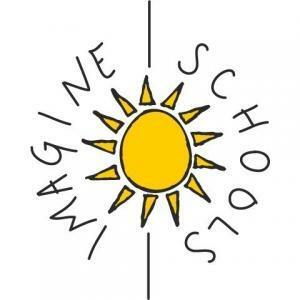 Imagine Schools has a special incentive for its full court press against closure: the two schools are tenants of property owned by Imagine Schools' real estate arm, SchoolHouse Finance LLC. If the schools are closed, Imagine Schools will be losing out on rental income as well as managements fees. Earlier this year in Missouri, a U.S. District Judge found that the cozy relationship between Imagine Schools and SchoolHouse Finance LLC "clearly constituted self-dealing" and ordered Imagine Schools to pay nearly $1 million for inflated rental costs. The consistently poor results and endemic corruption of Ohio's charter school system has become a national joke, and Imagine Schools is doing its part to ensure that the jokes keep coming.